Does the U.S. Fish and Wildlife Service have an official policy on free-roaming cats and TNR? The official word from the agency is no. But that hasn’t stopped Service employees around the country from suggesting otherwise. Had you attended the Southeast Partners in Flight conference in February, you would, more than likely, have come away with the impression that the U.S. 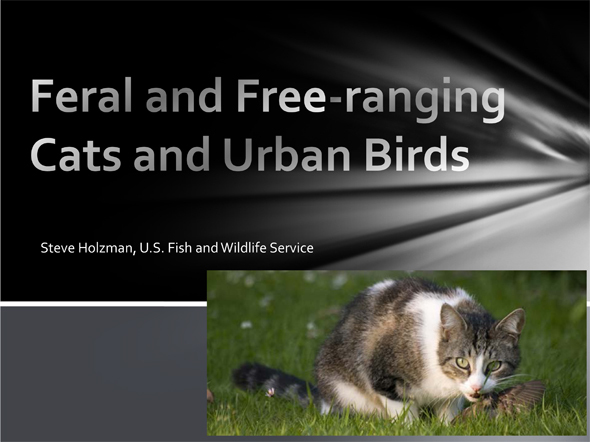 Fish and Wildlife Service has—despite statements to the contrary—an official, science-based position on free-roaming cats and TNR. I’ll have to take Holzman at his word about this being a joke, as I wasn’t there. U.S. Fish and Wildlife Service under fire for proposed roundups of free-roaming cats in the Florida Keys, an out-of-control burn on National Key Deer Refuge land, and participation in anti-TNR workshop. Many U.S. Fish and Wildlife Service personnel are, I suspect, looking forward to October—or at least putting September behind them. For those involved with USFWS’s “war on cats,” this month’s been a tough one: too much of the wrong kind of attention. Five days later, Big Pine Key resident Jerry Dykhuisen took USFWS to task in a letter to the editor calling O’Hara’s article “our quarterly puff piece about how great it’s all going to be when feral cats are trapped and removed from Big Pine Key.” Dykhuisen, vice president of Forgotten Felines, pointed out the incredible expense associated with the proposed roundup (a “government boondoggle that is nothing more than a waste of our tax dollars and job security for U.S. 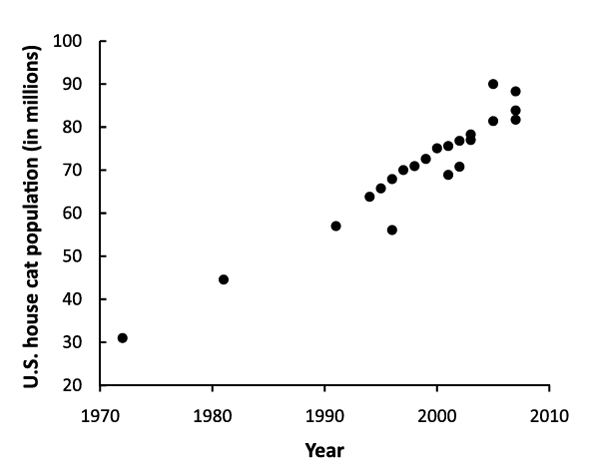 Fish and Wildlife”) and the risk of skyrocketing rodent populations if eradication efforts were actually “successful,” and challenges the “‘best available science’ of which they are so proud” (which “is not really very good science at all, being decades old, using statistical methods that are highly suspect, and not even being conducted on Big Pine.”). The following week, a letter to the editor from Forgotten Felines volunteer Valerie Eikenberg called the camera trap project “a lame-brain experiment,” criticizing Refuge personnel for baiting the cameras with cat food. “Why spend thousands of taxpayer dollars to figure out a question that any second-grader could answer,” she asked. Note: I’ve tried to contact O’Hara, who badly misrepresented the science in his story (for example: “Research indicates that cat predation accounts for 50 percent to 77 percent of the deaths of Lower Keys marsh rabbits and Key Largo woodrats.”), but he’s not responded to my e-mail requests. Just two weeks later, Refuge personnel once again found themselves defending their actions, this time for a prescribed burn that grew quickly out of control, scorching about 100 acres—five times what was originally planned. For some, at least, this was the last straw. “Morkill has to go!” read one particularly harsh comment to a Key West Citizen story about the fire. Earlier this week, USFWS officials met with residents to explain the results of an internal investigation into the fire. A day after the blaze on Big Pine Key, USFWS was trying to tamp down another fire of its own making. This one, too, had gotten out of hand—but on a national scale. In a post on its Open Spaces blog, USFWS responded to “many expressions of interest and concern regarding participation by U.S. Fish and Wildlife Service employees at an upcoming Wildlife Society conference.” This, of course, is a reference to Informing Local Scale Feral Cat Trap-Neuter-Release Decisions, the day-long workshop being presented by Tom Will, Mike Green (both of USFWS), and Christopher Lepczyk (University of Hawaii). As part of that conference, two Service biologists are presenting a workshop designed to help wildlife biologists and other conservationists effectively communicate the best available science on the effects on wildlife from free-ranging domestic cats. The Service has no national policy concerning trap-neuter-release programs or feral cats. If there’s no official policy, it’s not for lack of effort. Is it still FWS policy to promote legislation banning feeding of wildlife? Yes. The U.S. Fish and Wildlife Service (Service) stands firmly behind its recommendations promoting legislation banning the feeding of wildlife, especially nuisance species such as feral cats. 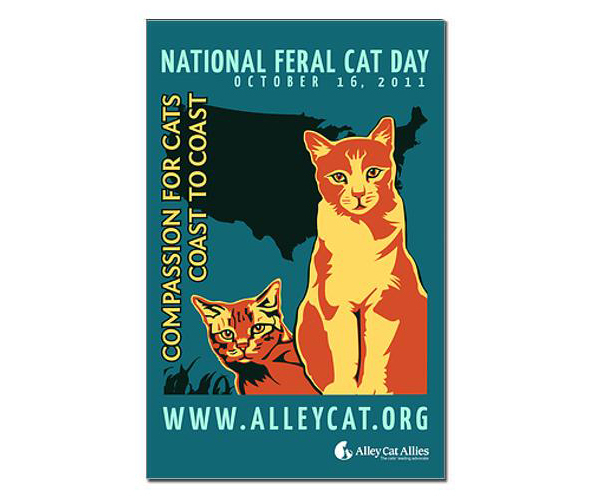 Local governments are better equipped than are Federal and State agencies to regulate feral and free-ranging cats since most local governments have ordinances in place to address domestic animal issues as well as animal control services and personnel to implement those ordinances. 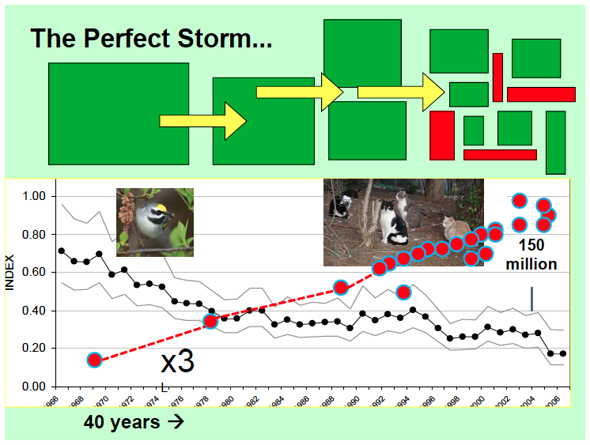 Is it still FWS policy opposing free ranging cats and establishment of feral cat colonies? Yes. The Service continues to oppose the establishment of feral cat colonies as well as the perpetuation and continued operation of feral cat colonies. As an agency responsible for administering the regulatory provisions of the Endangered Species Act (ESA) and the Migratory Bird Treaty Act (MBTA), the Service’s position is that those practicing Trap-Neuter-Release (TNR) could be subject to prosecution under those laws. The Service strongly opposes domestic or feral cats (Felis catus) being allowed to roam freely within the U.S. due to the adverse impacts of these non-native predators on federally listed threatened and endangered (T&E) species, migratory birds, and other vulnerable native wildlife. Therefore, the Service opposes TNR programs that allow return of domestic or feral cats to free-ranging conditions. Migratory birds are Federal trust resources and are afforded protection under the MBTA, which prohibits the take of a migratory bird’s parts, nest, or eggs. Many species of migratory birds, wading birds, and songbirds nest or migrate throughout New Jersey. Migratory birds could be subject to predation from State municipality, or land manager-authorized cat colonies and free-ranging feral or pet cats. 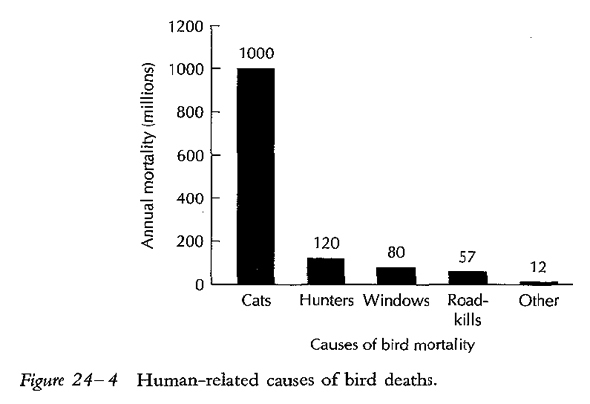 Predation on migratory birds by cats is likely to cause destruction of nests or eggs, or death or injury to migratory birds or their young, thereby resulting in a violation of the MBTA. To hear USFWS tell it, Will and Green don’t even speak for USFWS. In order to protect the independence and integrity of their work and the quality of the scientific information generated, the Service does not review or edit their work based on its potential policy implications. Any findings or conclusions presented at this workshop, as well as other scientific papers and presentations by Service employees, are those of the organizers and do not necessarily represent those of the Fish and Wildlife Service. Mrs. McKenna and I are, it turns out, not the only skeptics. At last check, there were 50 comments on the USFWS post (not all of them critical of the Service, of course), a record for the Open Space blog (which, since its inception in late April, has attracted just 140 comments across 97 posts—including the August 2 post about “a recent incident where the Service inadvertently issued a citation in Fredericksburg, Virginia,” which attracted 46 comments). Although USFWS is, according to its Office of External Affairs, “committed to using sound science in its decision-making and to providing the American public with information of the highest quality possible,” recent events suggest otherwise. Actually, past events tell a similar story. USFWS is right about one thing, though: many citizens are surprised—just not in the way the Service imagined. The public, to whom USFWS is ostensibly accountable, is surprised at the way their tax dollars are being used to fund a witch-hunt. And, judging by the overwhelming response to the USFWS/TWS workshop (see, for example, Best Friends Animal Society’s Action Alert, blog posts from Alley Cat Rescue and BFAS co-founder Francis Battista, and the Care2 petition), the public has had enough. With access to both information and “broadcast” technology more accessible than ever, it’s becoming increasingly difficult for USFWS to continue with business as usual. The people the Service is supposed to—well, serve—are demanding better science, more transparency, and greater accountability. People are paying attention like never before.